Examine the batteries of your furnace and make sure they haven’t run out or expired. Open the back of the thermostat and blow away any dust or junk that might have gathered there. Reset the time and date on the digital models – may be the timer turned it off. If the breaker of the house is on, turn it off and check the furnace’s fuse. Move the dial, altering a good few degrees; see if observable changes can be noticed. If that doesn’t make a difference, look at your breaker and see if a fuse has blown or tripped or not. Manually flip the breaker back and forth to ensure that it stays “ON,” causing it to reset. If even this doesn’t work, there is probably an issue with the wiring or the breaker itself. See to it that the ventilator is in good shape and the ventilator be cleaned regularly. If your filter is clogged with dirt, change it. 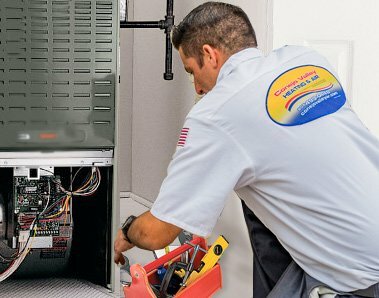 We know it sounds like a lot of work, but trust us, you’d rather do some maintenance rather than having to buy a new furnace altogether. Replace your filter habitually as it refines the condition of the air inside. The easiest way to check if your filter needs replacing is by shining a light through it. If you don’t see any light passing through the filter, and also sense a bad smell and some dust, it has to be replaced. Confirm that the filter is placed upright because if the direction is upside-down, it may lessen its efficiency because air filters are designed to capture substances blowing from a single direction. Tidying up the junk that gathers in the filters can help with the air flow. Turn the main circuit breaker off. The safety switch should be positioned near the blower. Make sure that once installed, your switch comes in contact with the access panel(s). Make use of the wiring diagram and instructions that come along with the furnace and its switch. Secure the switch with screws. Turn on the main power and make sure that the opening the furnace door automatically shuts off the safety switch. We know these sounds like an evident instruction, but it is hard to pay attention to seemingly minor issues such as taking care of a basement or more specifically, a heater when people are so lost in their daily occupying lives. This lack of care and cleanliness can cause home areas such as the basement and the attic to turn into disorderly messes – which can quite possibly lead to the heater being choked with various belongings and junk. It is important to remember that a clean and tidy furnace not only performs its job better, it even appears good. To ensure that the atmosphere of your furnace is clean, steer clear of placing and swarming it with materials that can easily catch fire, to keep your house, valuable belongings, family and precious pets from burning down because of an unforeseen fire. The materials around furnace which may cause fire is one of the biggest risks of owning a furnace. So, please try your best to avoid taking chances and keeping your stuff near the furnace, no matter how lazy you are or how suitable it may appear to “keep it there just for a little while.” We all know it won’t be “a little while.” It’s easy to get distracted, but still, try your best not to test your luck and to let your furnace do what it is supposed to do safely and securely. Moreover, clean and even vacuum habitually in the area where your heater is situated. Even though you may think that emptying the room of all items that may catch fire someday offers enough safety, sometimes other junk such as lint and dust may gather inside the furnace which may cause a fire. Too much lint and dust will also clog your filter sooner than it should be which will be a blow to your budget as you will have to repair or replace the equipment. One of the biggest reasons for your heater to stop working is contamination because of the furnace filled with debris and dust beyond what it can tolerate. One way to ensure that your burners are neat and tidy is to examine the emerging flames. Do they seem blue and smoothly leveled? If the answer is yes, it means that your heater is probably fine. But if the flames appear yellow, it means your burners are contaminated and dirty, and you should vacuum them; don’t forget to make sure that the power and the gas are turned off beforehand. And to be on the safe side, vacuum the area around the vents as well. Another thing to watch out for is the dust that gathers during summers. The best thing to do is making sure that the heater burners are checked and cleaned thoroughly before colder seasons begin. Always be sure that the furnace is cleaned up annually to avoid soot and condensation which causes burners to stop working properly. If your furnace is in a very poor condition, maybe it is time to start thinking about buying a new one. Turn the main circuit breaker which gives power to the furnace off. Using a screwdriver and other appropriate tools, detach the door/access panel of the heater. Find the furnace blower motor assemblage and using a wrench, take off the bolts that are securing it to the furnace’s main assembly. See where the screw on the side of the blower is and removes its bolts as well. Then drag out the motor from the arrangement. Examine the motor and the handle and find the oil ports. Make sure to squeeze at least 2 to 3 drops of motor oil into every port. Turn on the main power and the furnace. You’ll see a difference when the blower motor will run more smoothly because of the lubrication. This heater blower motor has a huge impact on the way your warming system operates. That is why it needs to be lubricated at least once a year, so it does not produce any unusual sounds when in action. If your limit switch is open instead of closed (because that’s how they normally are), you may want to consider replacing it. The reason being when there is an inappropriate rise in temperature, the limit switch opens the circuit. If the furnace is not firing, that means the limit switch should be fixed. Because if the switch is tripping, there will be no flames but the blower will keep on running till the switch is closed, or the whole system is reset so that it can clear the heat. You will have to hire a mechanic or a technician to substitute the limit switch. Reset the ignition control system by turning the furnace off and then on again. 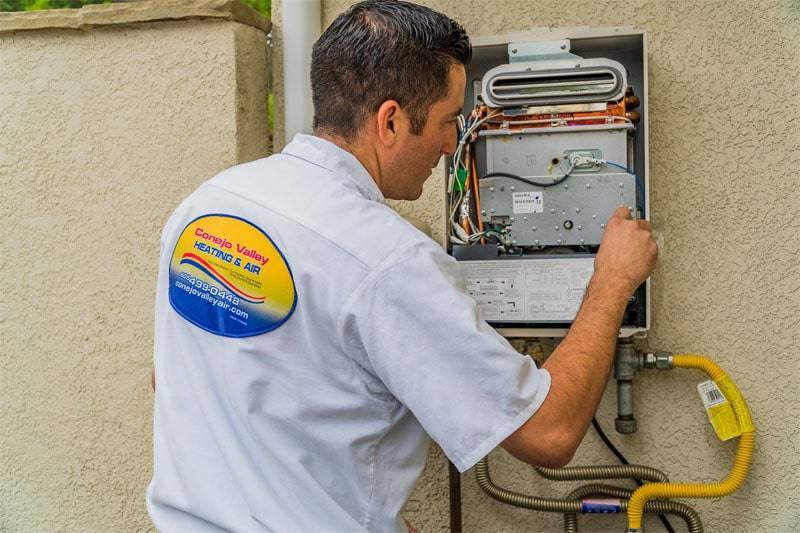 Before inspecting the heating component, power and gas supplied to the furnace should be turned off. Avoid making contact with it unless it appears damaged because then you have to replace the igniter. Keep the manual that you got with the furnace in hand and follow the directions given in it. If that doesn’t fix your issue, request assistance. Be careful when trying to work on the pilot light because you may cause further damage to the entire system and your house if you do not follow the steps accurately or if you do not take the appropriate safety measures. If your furnace keeps turning off and then back on rapidly, it may be because of an unclean or worn-out air filter. Try to remember if you have replaced it recently or not, and if you haven’t, do so, because it is probably the easiest and the quickest fix to most furnace-related issues. 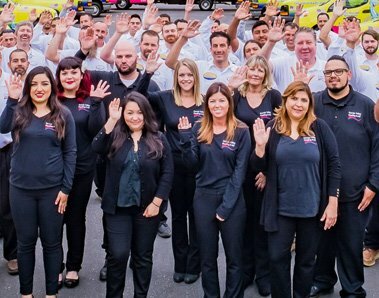 Call for assistance if even installing a brand-new filter does not solve your issue because that could mean that there is a more serious problem, such as a fault in the belts or the blower motor. These are both things that cannot be solved by you alone and need the assistance of an expert. Examine the furnace’s inspection window and ensure that the blower lacks debris and dust. See to it that there is a green light flashing when the furnace is on. But if under any circumstances, the light turns red, call the handyman. And there may be an issue with the run capacitor, heater control board, the blower motor, thermostat or the transformer if you see no light at all. Recheck the manual to be sure. Decrease the temperature of the heater and see it makes a difference. Try resetting or replacing the limit control switch, as sometimes a faulty one can cause issues with the blower. If your furnace is unusually loud and you think it’s because of the air going through the ductwork, try insulating it to lessen the rowdiness. Some noises are there because of the pilot light being adjusted wrongly, or lack of lubrication in the blower. If you hear popping or pinging noises, it could be the ductwork heating and cooling. 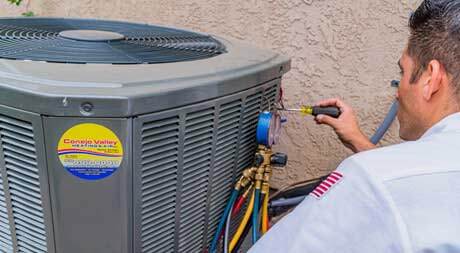 If you hear squealing sounds, the belt which is connecting the motor and the fan may have slipped, or it should be replaced. If you hear grinding sounds, the motor probably needs to be repaired. For other sounds, refer to the list of identifying furnace sounds and then call a technician. 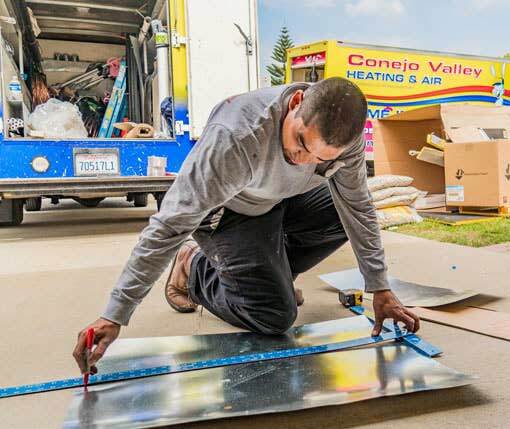 Examine every single vent in the house to make sure that they’re not being blocked by anything, because sometimes a large curtain or a furniture piece may be blocking the openings of the vents, which prevents heat flow. For effective circulation of heat, it is necessary to seal leaky ducts with a special metal tap or high-temperature silicone. Then perform a back drafting test to ensure the combustion gases go up the flue. Turning the main circuit breaker off. Detach the sensor from the heater if you can. Eliminate dust and lint by cleaning the sensor tenderly and slowly. Turn the main circuit breaker on again. The furnace can malfunction if the sensor is not cleaned properly regularly because of carbon buildup and oxidation, which prevent it from doing its job. Moreover, if your furnace works with a pilot light, ensure that it is on, because sometimes, it may be extinguished because of not using. Follow instructions given on the side of the furnace to turn it back on. The performance of furnace may be affected by a gas leak in the pipeline due to corrosion of pipelines buried underground coming in contact with soil having sulfates and other harmful substances. So, it should be ensured that pipes are protected against such types of soils through coatings and catholic protection treatments. In case of a gas leak, you should proceed with care as the gas leak is likely to affect the performance of your furnace. Check the color of vegetation around the gas pipeline. If you find the vegetation or flowers is discolored or damaged, it is a symptom of a gas leak nearby. Call your local gas company for repair of a gas pipeline. In case your furnace is not performing to its full capacity, less supply of gas can be the reason. The gas contains some substances which can cause deposits inside the gas pipeline. If you diagnose clogging of gas pipeline, call the local gas company for repair or replacement of gas pipeline. The broken or loose fittings or hard/ cracked gaskets can also be the cause of gas leakage and reduction in performance of furnace. You can check these occasionally for their replacement. If you own a furnace which vents out the side of your home, ensure that nothing gets in the way of this ventilation. If any pipes are covered with window mesh, get a 1/2-in.-mesh Hardware cloth. And if ice has gotten into the vent pipes, clean it up and request assistance from a technician. If you make use of a furnace that has a heat pump, clean up leaves, dirt, and grass from the outdoor blower part. Clean it with water gently before winters to get rid of the debris, dirt and other junk. 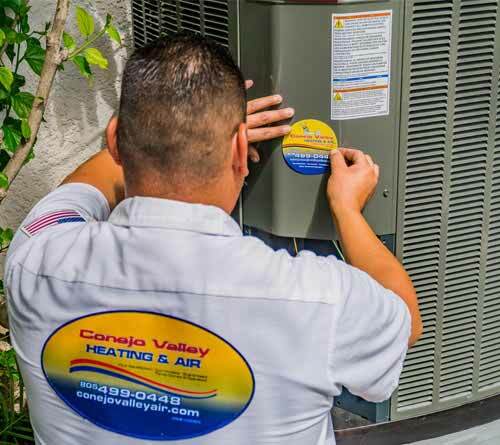 Most furnaces and heaters are built and structured in ways that make them of use for several years, but obviously, no one can design one that keeps on running forever and ever. In case your furnace heating ducts also serve as air conditioning ducts, then dampers require setting for seasonal changes. 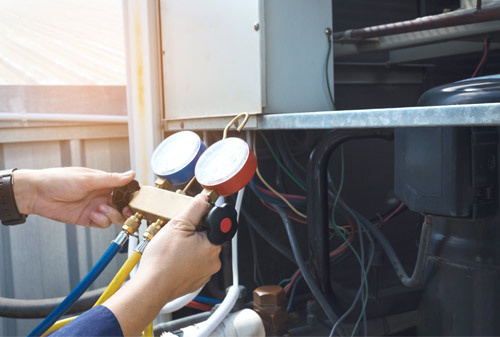 You can avoid all these problems by making sure that your system is inspected regularly, as this will prevent even minor repairs from becoming huge issues. Try to at least cleanup and examine your furnace as often as the developer recommends. Also, take extreme precautions while trying to perform any do-it-yourself repairs to avoid health hazards. While it may be satisfying, fun and even cost-effective, it is crucial that you possess some skills before trying to fix these issues.